All criminal calls will be recorded; trial begins in Nov. Officer Greg Dodd with the Durango Police Department on Wednesday displays the new body camera officers will soon use while on patrol. 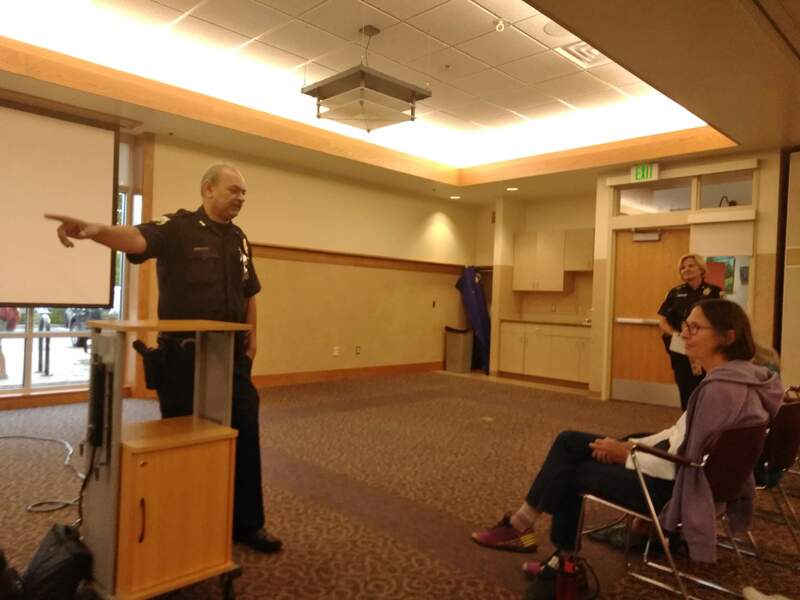 Durango Police Chief Kamran Afzal heard from the public Thursday about department’s use of body cameras by patrol officers. 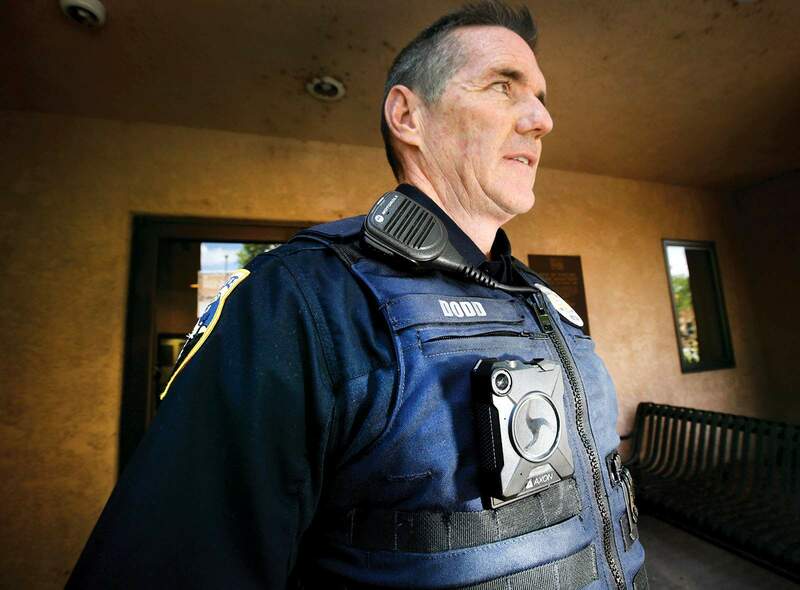 The use of body cameras by Durango Police Department officers is slated to begin in early November with a 30-day trial, and public comment on policies that will guide their use began with a town hall meeting. “In a meeting with officers, the main question we got was: When are we going to get one,” said Cmdr. Ray Shupe at the town hall held Wednesday at the Durango Community Recreation Center and attended by a half dozen residents. The Durango Police Department’s new body cameras will tie in with car-mounted cameras and will automatically starting recording when a patrol car’s overhead lights are turned on. The Axon system selected by DPD is constantly at work. Images are being gathered and deleted continuously. Video recording begins when an officer taps the camera, and the system keeps images 30 seconds prior to the tap and records until the officer turns off the recording. Recording also occurs under the pre-set conditions. The department currently envisions keeping videos on felony calls for 10 years, misdemeanors for five years and traffic stops for 190 days, Afzal said. Videos recording an officer’s use of deadly force or the injury or death of an officer would be kept indefinitely, he said. Release of videos to the public and media would be guided by Colorado freedom of information laws and lawyers also would have access to videos for legal proceedings, Afzal said. The software allows DPD to blur identities of people protected from public disclosure, such as sexual assault victims, juveniles and victims of domestic abuse. Videos will be downloaded at the end of shifts and stored in a cloud database. In addition, the system will track each time the video is viewed and any actions taken to manipulate the video, which protects its chain of custody and prevents tampering, Afzal said. The system allows the police department to track when videos are viewed by outside parties, such as the public. 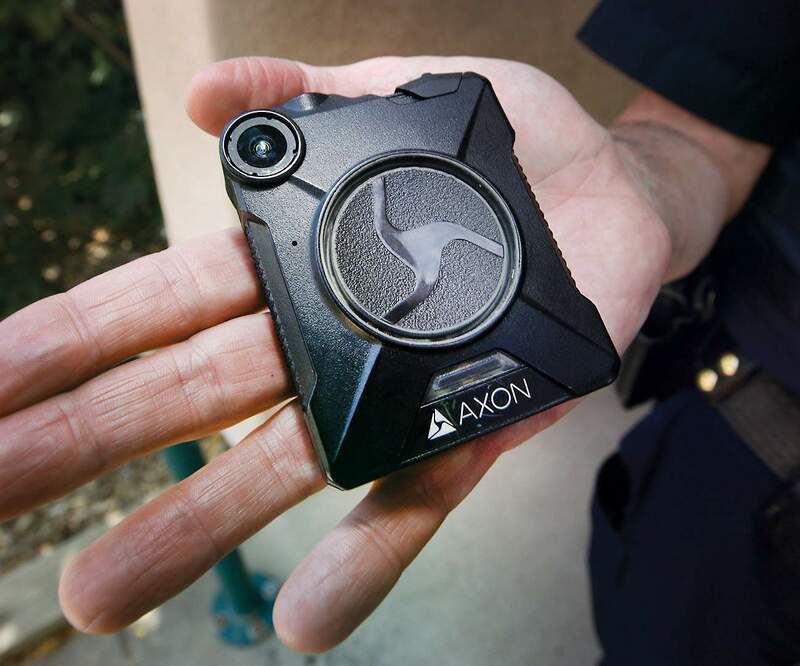 The body cameras also will be synced with new Axon car cameras. Existing vehicle dash cameras are 10 years old and are no longer supported, and the department is down to five functioning car cameras, Shupe said. The department has ordered 48 body cameras from Axon and 20 new car cameras to replace the old dash cameras on cruisers. The cost of the Axon contract is $96,000 for the first year and $89,000 for subsequent years when less training will be needed. Besides taking public comment, Durango police are currently studying other police departments’ body camera policies. In two weeks, the city’s website will began taking comments from the public about policies guiding the use of body cameras by DPD. A draft of policies is set to be in place by the end of September, when Afzal will go over policies with the city attorney, city manager and others for final adoption in October.